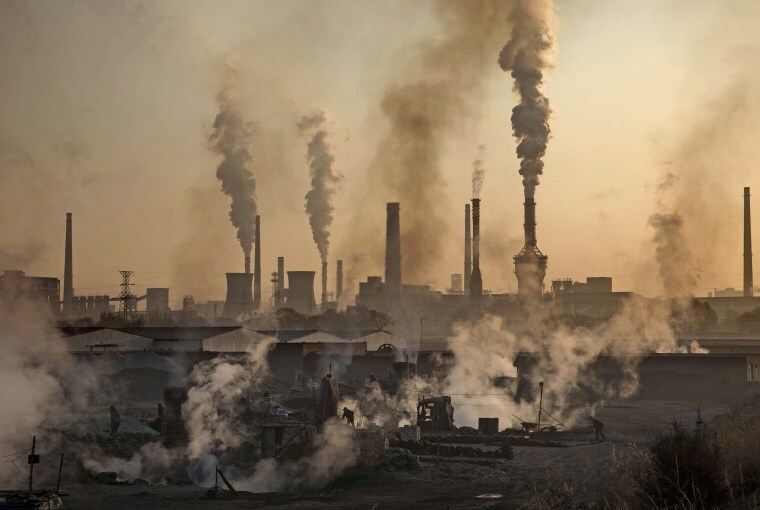 Humans worldwide produce between 35 and 40 billion metric tons of carbon air emissions each year, a big chunk of which comes from fossil fuel-burning power plants. Efforts to reduce emissions only go so far and getting rid of smokestacks is nearly impossible, but there is an alternative on the horizon. Let’s transform some of that pollution into valuable, revenue-generating products. That’s the challenge put forth by the NRG COSIA Carbon XPRIZE, a global competition dedicated to accelerating the development and economic viability of technologies that can convert CO2 emissions into usable things, like biofuels, building materials, or fertilizers. With $20 million in prizes on the line, teams from across the world are racing to design technologies for coal and natural gas power plants that can convert the most CO2 into the highest-value products, creating a path and financial incentive for the entire energy sector to clean up its act in the process. "The specific challenge that the XPRIZE identified was not just that CO2 emissions exist and we need to reduce them, but maybe there was a fundamentally new way to go about doing that," says Marcius Extavour, the competition’s director of Technical Operations. If competitors can prove that companies can make money off something they’re currently throwing away without subsidies or financial incentives from the government, "that really changes the ball game." Teams are each taking their own approaches to CO2 conversion, and in some cases developing products and conversion methods that haven’t been explored on the industrial scale before, Extavour adds. Carbicrete, a startup based in Montreal, Canada, is trying to help the construction industry get a little greener. While pursuing his Ph.D. at McGill University, Mehrdad Mahoutian started experimenting with ways to make concrete without cement, a binding ingredient in concrete that requires large amounts of heat (generally from burning fossil fuels) to produce. Mahoutian knew that slag, a waste residue generated during steel production, had some of the same chemical components found in cement, but when it just didn’t work when mixed in concrete. In 2012, he began investigating whether carbon dioxide could strengthen the mixture. When CO2 is injected into wet concrete made with slag, the gas binds with calcium silicate within the slag and traps the CO2 inside. The result is a cement-free building material the Carbicrete team says is stronger and less expensive than traditional concrete with a substantially smaller environmental footprint. "We're taking industrial waste that's not being used, and we're replacing something that's pretty nasty — cement — and on top of all of it, we’re sequestering carbon dioxide," says Carbicrete CEO and co-founder Chris Stern. "It’s a triple home run." Stern’s team plans to eventually license the Carbicrete production method, but for now, they’re focused on adding an emissions capture system to their technology for the semi-final Carbon XPRIZE round, which lasts through this December. During that round, all teams will demonstrate how their conversion process performs on a small-scale simulated power plant gas stream. Related: What's Causing Those Mysterious Bursts From Deep Space? Teams that advance to the final round will pit their tech against emissions from an actual power plant at a test center in Wyoming in June of 2019. Whoever builds the most effective conversion technology walks away with at least $10 million, which, for many teams, could be the financial boost necessary to get their devices into the hands of their target demographics and make an actual environmental impact. "There are a huge array of really exciting ideas at laboratory phase or just beyond laboratory phase and are ready to be commercialized or take that leap," says Extavour. "The Carbon XPRIZE was launched really at the moment to try to capitalize on that and see if we can drag a lot of those great ideas out into the spotlight and into the marketplace." Making commercial contacts and showing the largest industrial fossil fuel consumers that CO2 conversion can be profitable may be more valuable than the grand prize itself. David G. Victor, director of the Laboratory on International Law and Regulation at the University of California, San Diego, says that small-scale air pollution recovery and recycling efforts have existed since the 90s. More than two decades later, these programs are still a "minor part of the total emissions picture," he says, and haven’t achieved widespread adoption, in part because they’ve historically been expensive and major industry players haven’t been convinced that they truly pay off. "They’re going to need to see a market and some reasonable technological pathways," he says. "…When it’s a multi-billion dollar industry, then you’re going to see multi-billion dollar firms involved." "When it’s a multi-billion dollar industry, then you’re going to see multi-billion dollar firms involved." One way some teams are broadening their marketability is by creating platforms capable of making multiple products. Opus 12, a startup in Berkeley, California, has built a prototype device that can convert emissions into 16 different chemicals. Bolting onto any source of CO2 (like a smokestack for example), the device takes in concentrated emissions and adds water and electricity. The electricity kicks off an electrochemical reaction that splits both compounds into their elemental components — carbon, hydrogen, and oxygen — which can then be used to build other compounds like ethanol and ethylene. Opus 12 clients will be able to choose which products they need, says co-founder and CEO Nicholas Flanders. Supported by early feasibility funding from Shell, the company plans to launch its first commercial units in late 2017. To lower barriers to the commercial market, the Carbon XPRIZE offers a chance for teams to work directly with third-party partners and competition sponsors as well as a rare opportunity to observe how other groups are approaching the problem and to make connections. "In a lot of cases, the teams aren't so much trying to hide everything from everybody," says Alexander Ip, director of research and partnerships at the University of Toronto’s Sargent Group nanotechnology lab, and a member of team CERT (Carbon Electrocatalytic Recycling Toronto), which is competing in XPRIZE semi-finals. "They are trying to say, ‘Hey, what are ways that we can help out? Maybe our process can connect to your process.’ "
CERT’s technology converts carbon dioxide into carbon monoxide, a compound often used in chemicals manufacturing. To break down CO2, CERT’s device dissolves emissions in an electrolyte solution, which is then run over a series of gold or silver nanoneedles, all far too tiny to see with the naked eye. When electrified, the needles concentrate electric fields around them, which attracts ions in the emissions-electrolyte solution. The CO2 molecules bind to the needles’ surfaces, react with the metal on the needles, and form carbon monoxide. The system converts CO2 effectively, but it doesn’t include a way to capture emissions. Ip is in talks another XPRIZE team (along with outside groups) to explore if integrating the other team’s capture technology with CERT’s conversion process could create a new, more efficient system. A collaborative spirit is rare among startups in burgeoning fields, but it could be a crucial step in improving conversion methods enough to break them into the mainstream. Convincing the energy sector to recycle their emissions will require clearing a number of hurdles, including the problem of how to scale in a way that the benefits of converting CO2 aren’t outweighed by the environmental cost of building and using conversion technologies. For XPRIZE teams, that means keeping an eye on their own waste and, in some cases, the impact of transportation and distribution of their products. While transportation isn’t a major issue in cases when CO2 is converted at a client’s facility and used on the spot, it’s trickier in instances when emissions are taken from one company and the converted products are sold to another. Tandem Technical from Ottawa, Canada, is ready for either scenario. Tandem’s technology uses a solution with a high pH to capture emissions directly from a flue stream. The mixture bubbles through a proprietary hydroxide solution to get carbonate salts that can be purified into minerals like sodium, lithium, and magnesium carbonate, chemical staples of industries ranging from agriculture to pharmaceutical. Those minerals may be directly used by the CO2 provider or stored locally and sold by Tandem to other nearby companies. "It's a great system because our guys can spend the time finding customers and setting up shipping routes, and the emitters, power plants, factories, etc., can focus on their primary business and earn additional revenue throughout the year while reducing their emissions," Jerry Flynn, founder and CTO of Tandem Technical, says via email. Richard Rosen, a founding member of Tellus Institute research nonprofit in Boston and an expert in energy systems analysis and policy, doesn’t believe that conversion is the best way to make a real dent in global emissions. The best capture systems can’t trap 100 percent of carbon dioxide, and even if they could, coal and natural gas plants still emit other greenhouse gases like methane that harm the environment. "As long as the carbon is around, you have to keep preventing it from getting into the atmosphere. That takes additional energy and it’s inefficient," Rosen says. "…It would easier to accelerate the use of renewable energies [like] wind and solar technologies. Then you wouldn’t have to capture CO2 at all." Extavour views renewable energies, conversion technologies, and CO2 elimination strategies all as weapons that can work together to combat global warming. "We need all hands on deck," he says. "All promising solutions need to be at least tried out until we’re convinced they can’t go forward.